The Hannover Messe is drawing to a successful end. 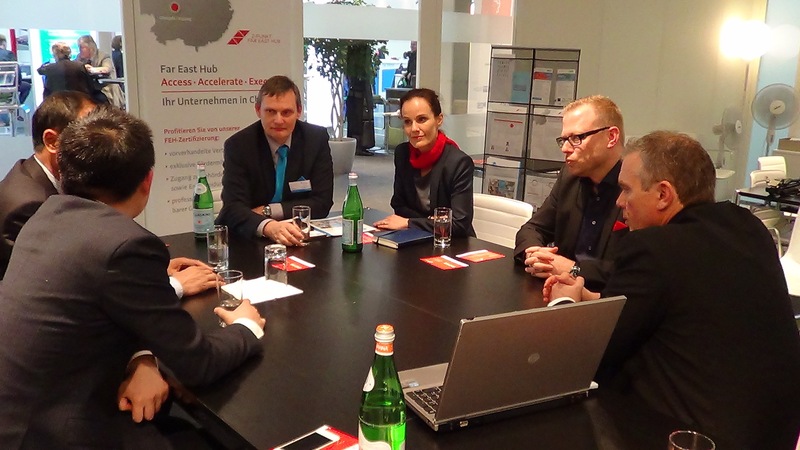 Throughout the Hannover Messe, the stand of the FAR EAST HUB (FEH) by Z-PUNKT CONSULTING was in great demand. The topic German small and medium-sized businesses and the West of China turned out to attract many interested visitors. In numerous discussions, our competence team explained the requirements on a successful strategy to enter the Chinese market and illustrated them with various practical examples. The strategy and procedure of the FEH was widely approved by experts and professionals that are already present in the Chinese market. According to them, the FEH approach, which combines hard and soft facts, is one of the most sensible possibilities to enter the market in an efficient and sustainable way. So far, the Hannover Messe exceeded our expectations and we are happy to say that our expert status could be reinforced. A highlight of the first days at the Hannover Messe was the invitation of our CEO Matthias Zurfluh to attend a panel discussion that focused on the comparison of the economical development from Russia, Iran and China, organized by the Schneider group. Due to the high approval of the audience, additional joint events will be planned in near future.